The Randolph College M.F.A. in Creative Writing program has added yet another accomplished author to its faculty. 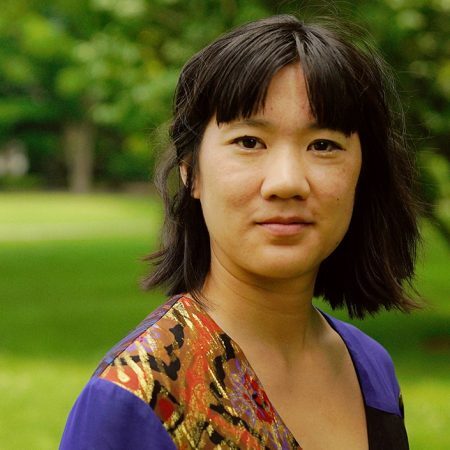 Diana Khoi Nguyen, a poet and 2018 National Book Award finalist, will join the program as a visiting faculty member for the upcoming winter residency and mentor students in the upcoming semester. Nguyen’s work has appeared in publications like Poetry, American Poetry Review, Boston Review, PEN America, and The Iowa Review, among others. She has received awards, scholarships, and fellowships from the Academy of American Poets, Key West Literary Seminars, Bread Loaf Writers Conference, Provincetown Fine Arts Work Center, Community of Writers at Squaw Valley, and Bucknell University. Nguyen is the winner of the 92Y’s Discovery/Boston Review 2017 Poetry Contest and the Omnidawn Open Book Contest. Her book of poems, Ghost of, was a 2018 National Book Award finalist. Born and raised in Los Angeles, Diana Khoi Nguyen lives in Denver and teaches at the Lighthouse Writers Workshop and in the Daniels College of Business at the University of Denver. She received her M.F.A. degree from Columbia University.